Get ready to think different about your silk magic. Look into the creative mind of Barry Mitchell for his unique ideas with magic. 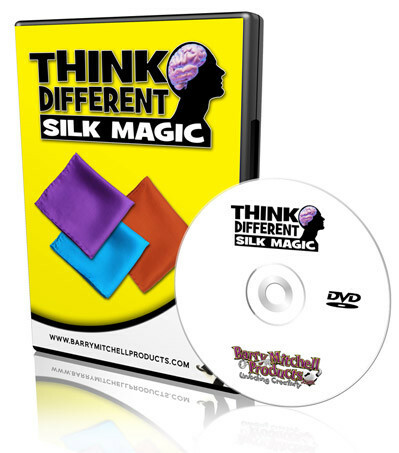 In this silk magic edition he has combined a collection of video clips from his most popular DVDs and product explanations as well as new footage to give you EVERYTHING silk on one DVD. Whether you are a beginner or a full time pro YOU WILL FIND USUABLE TECHNIQUES here. This is a must for the family entertainer that wants creative silk magic in their act.